Amanda and AJ’s creative detail galore wedding! When Amanda emailed me to tell me that the bridesmaid dress she’d sewn herself had been stolen in it’s UPS box of her bridesmaid’s front porch (yes, that really happened!!! ), I thought, “that’s it, Amanda’s going to give up on all her stunning and elaborate DIY wedding details”. Nope, I was wrong. She re-made the dress weeks before the wedding, and continued on with joy as she completed her wedding decor in her own creative style. Nothing could keep this girl down! This wedding had so many incredibly special details that the full list of them would take up this entire blog! So I’ll just go ahead and give you the highlights so you can have just a taste of how thoughtful and magnificent all the details and events at this wedding really were! As I mentioned, Amanda HAND MADE all her bridesmaids’ dresses… as well as her flower girls’ dresses!!! (LOVE the heart shaped braids the flower girls had!!!!). Yes, that IS talent folks!!! She even made one bridesmaid’s dress twice- thanks to the thievery situation! 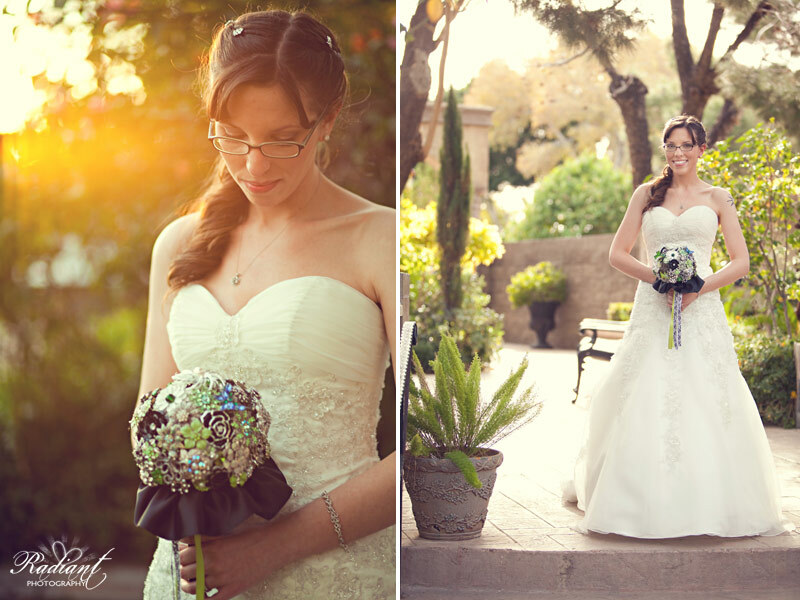 She made vintage brooch bouquets for herself and her bridesmaids. Which all had their own special pins in them to represent each girl. Amanda’s had a camera since she’s an amazing photographer! She also made boutonnieres out of vintage jewelry for the dudes. (To tag yourself in some of the photos, like our Facebook page). And that was just the beginning of the handmade world at this wedding! Aside from hand made there were plenty of other details that were very special to Amanda and AJ. TOM’S shoes being one of the biggest ones! All the girls from flower girls to bride to grandma, wore glittery Tom’s! And Amanda’s served as dual purpose to cover her need for “something blue” as well! Amanda also wore a necklace that her dad gave to her mom on their first date!!! Isn’t that the cutest thing ever?! As for the rest of her jewelry… Amanda had to actually get her ears pierced so she could wear the stunning Coach earrings that she found and fell in love with! This wedding was about more than just details though, it was about the people involved. (The flower girls showing how much they love their grandpa. This is one of my favorite pictures of all time!). (Even all the mushy love stuff isn’t always enough to entertain a flower girl during a ceremony, so at times she has to take it upon herself to keep things fun!). Amanda and AJ thought of every clever way in the book to involve their family and friends in their big day as much as possible. Amanda’s mom and grandma made the wedding cake, they had a friend perform their ceremony, and Amanda’s cousin did all kinds of special (and wonderful I might add) musical performances. And last but not least, one of my favorite parts was when Amanda’s grandfather serenaded us all with a couple of beautiful Italian songs during the reception. It was a time to remember for all! Amanda and AJ, you guys have been some of the most awesome clients we’ve ever had. Both you and your families have been a huge blessing to us throughout this process and there’s nothing you guys could do to make us love you more! (I love how Amanda’s mom is looking at her in this picture. So happy!). You’ve all meant the world to us and done so much to build us up and support us in all that we do. Thanks for being such amazing people and for letting some of that amazingness leak on over to us. Congrats to you both, you so deserve a happily ever after! 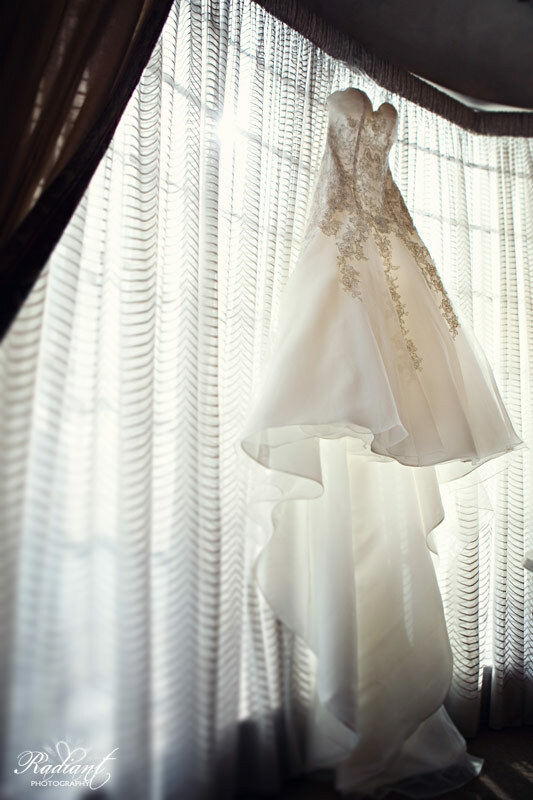 Click to see the rest of Amanda and AJ’s creative detail galore wedding! Michelle - The pictures look amazing!!!!!!!!!!!!!!! I’m so glad Amanda chose you guys to document this fabulous day. The stolen dress (mine!) and other bumps only made this wedding more memorable and glorious. Thanks to everyone who made this day so special for them! Steven Jaskulski - One is only fortunate to have a few days in their lives to remember forever. For me my wedding day is one, soon to be a 30th anniversary. Another is the marriage of our oldest daughter who has blessed us with a great son-in-law and two wonderful granddaughters and finally the wedding of Amanda and AJ. Everything came together on that day to make it one for the ages. We were lucky enough to have the best photographers there to make those memories last forever. Surrounded by family and friends I wish everyday could be February 1st 2012. Then life could be perfect. Thanks to everyone who made that day special. Kathy Jaskulski - Love… Love… Love…. You two simply captured the spirit of the day! Who better to trust then you two! I know I have told you this before, and I’ll say it again and again.. you take such an interest in the couple, getting to know them, their families, what’s important to them and then catch it all so that that day can never be lost or forgotten. I love that you guys listen to stories and catch the many details only to share them on your blog. Such wonderful storytellers by your amazing photography and your words. Thank you for making Amanda and AJ’s wedding even more special! Love… Love… Love….